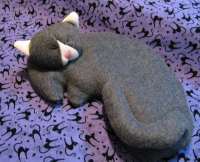 to help soothe a wide range of ailments, with a fun shape. 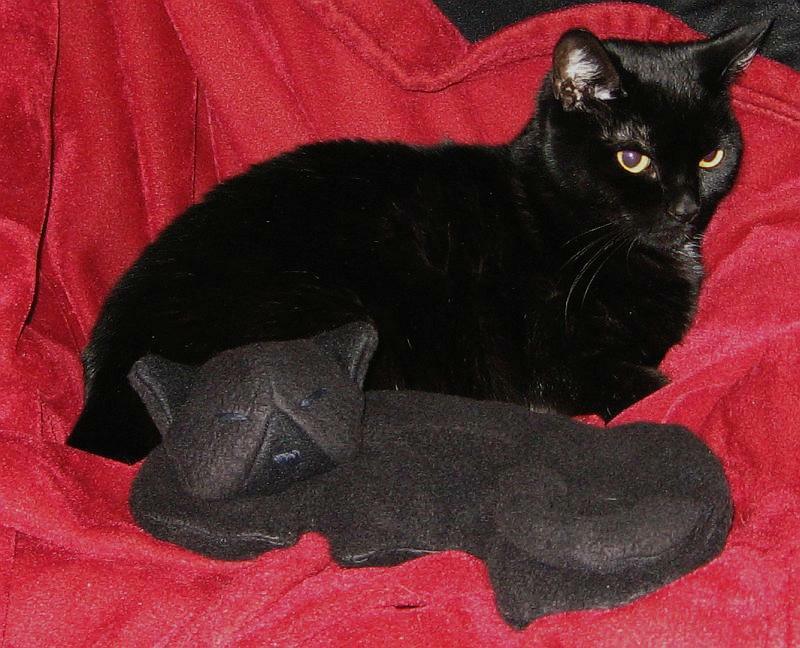 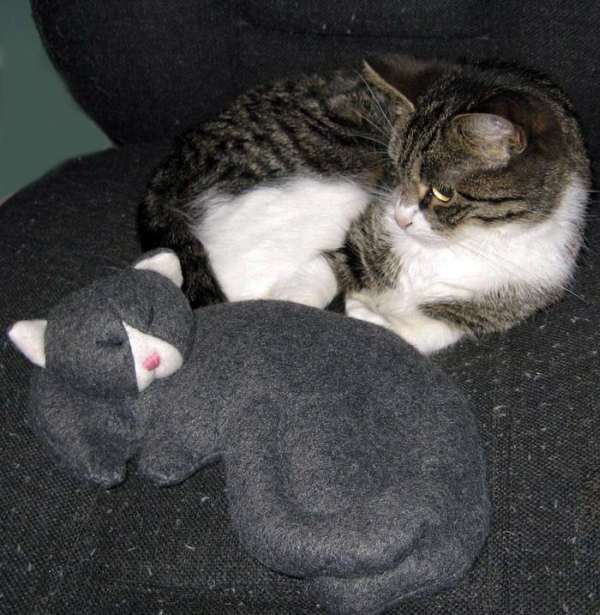 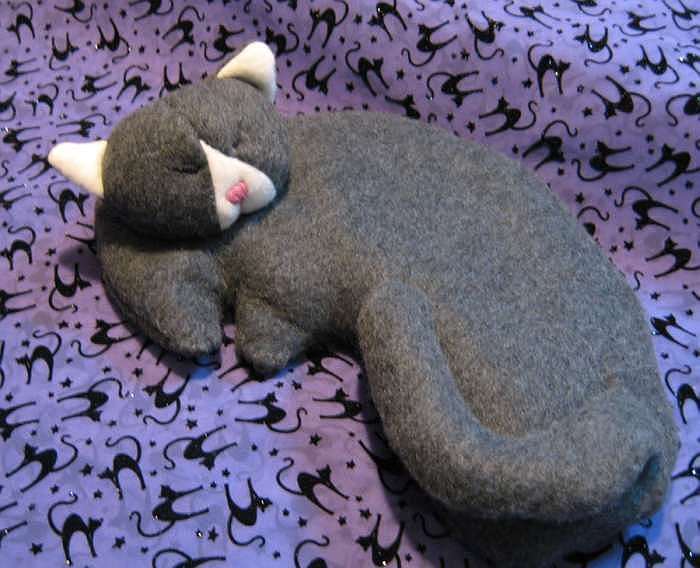 Sleeping Kitty is lovingly made with Hand-stitched detailing, in soft cuddly fleece fabric and filled with flax seeds & lavender. 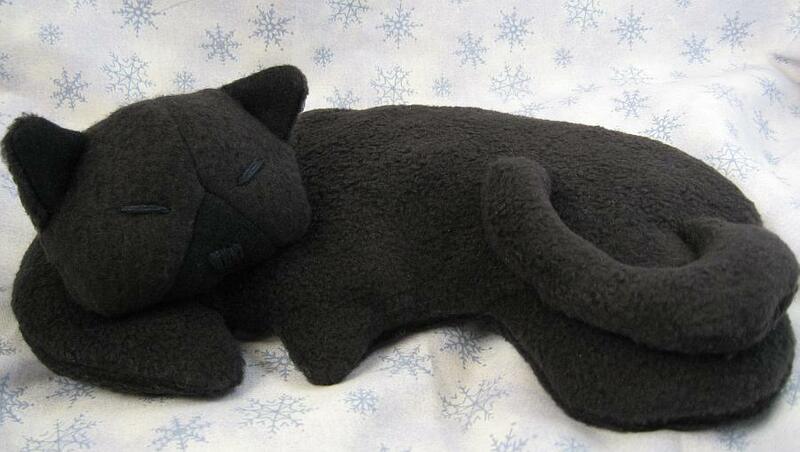 Purrfect for cuddling up in bed with! See Also our Herbal Critters!